We work with clients large and small to produce software that delivers efficiencies, exploits new markets and modernises legacy processes. Our bespoke software works in unison with your business processes, supporting your staff and enhancing customer experience. Whatever your software challenges, our Agile, user-centred development team can help you. Think of us as your approachable, on-demand software team. We will take the time to understand your organisation like an insider, whether you’re a start-up or an established enterprise. We use our deep understanding of business processes to plan, build and support software that fits the way you work. By being flexible and responsive, we’ll ensure your software project completes on time and on budget. We are also specialists in using Microsoft technologies to create robust, innovative and scalable systems. These can drive business efficiencies, increase productivity and even generate revenue. Our aim is to help you build sustainable success in your market. We evaluate your existing processes, propose where software can improve those processes and plan the implementation. Give your staff and customers 24/7 access to your business operations and databases through modern web apps. 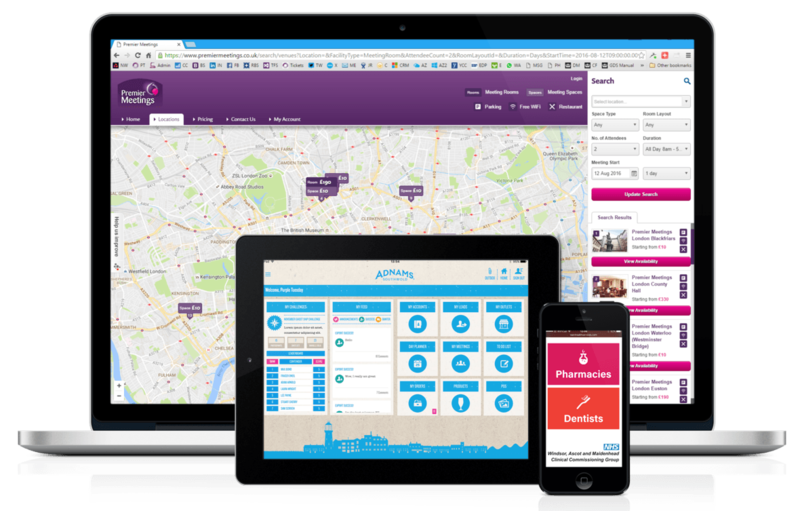 Mobilise your workforce and engage with your customers through sophisticated mobile software. Tailored data driven software to help your processes flow, reduce risk and give you a competitive edge. Connect multiple software sources and legacy systems to make your business more efficient. Secure your software and systems, having them run efficiently and continue to grow with your business.